On paper, the Veterans Choice Program sounded like a great idea. Pragmatic, even. When it launched in 2014, under the Obama administration, both parties appeared united on its merits; defenders said it would give veterans a way to bypass real problems at the Department of Veterans Affairs by allowing them to seek subsidized, private care in their own communities. In June, legislators replaced the Choice program with the $55 billion MISSION Act, which expanded and allegedly streamlined private care options. But a new report co-authored by Isaac Arnsdorf of ProPublica and Jon Greenberg of PolitiFact suggests that in practice, the Choice program mostly enriched the contractors the VA hired to manage it, while the veterans it purportedly helped still faced obstacles to care. That doesn’t bode well for the MISSION Act, nor for the VA’s broader obligation to veterans. Of the $10.3 billion the VA spent on the Choice program since 2014, Arnsdorf and Greenberg report that most of the funds went to two private contractors, TriWest and Health Net. The two companies have spent $1.9 billion on overhead costs alone, and charge the department at least $295 each time they refer a veteran to private care. It’s not obvious, either, what the VA gets for its money, since veterans enrolled in the Choice program didn’t necessarily receive improved care. The VA inspector general and the Government Accountability Office previously found that wait times for Choice patients remained longer than is stipulated by law. As Arnsdorf and Greenberg also noted, the inspector general found that veterans and doctors both say that TriWest and Health Net failed to pay for services on time; for their part, the contractors said that the VA didn’t pay them on time, either. The Choice program existed because of an old premise: that private care guarantees higher-quality, more efficient service. In fact, overhead costs for the Choice program are far more expensive than is average for private industry. Tricare, provided by the Department of Defense to cover active-duty service members and their dependents in addition to retirees, activated reserve, and national guard members, is less expensive still; 8 percent of Tricare’s costs go to overhead, compared to 24 percent for TriWest and Health Net. The two companies did incur some extra costs because they were also charged with setting up the Choice program, but even so, their costs remain unusually high. “Even excluding the costs of setting up the new program, the Choice contractors’ overhead still amounts to 21 percent of revenue,” wrote Arnsdorf and Greenberg. 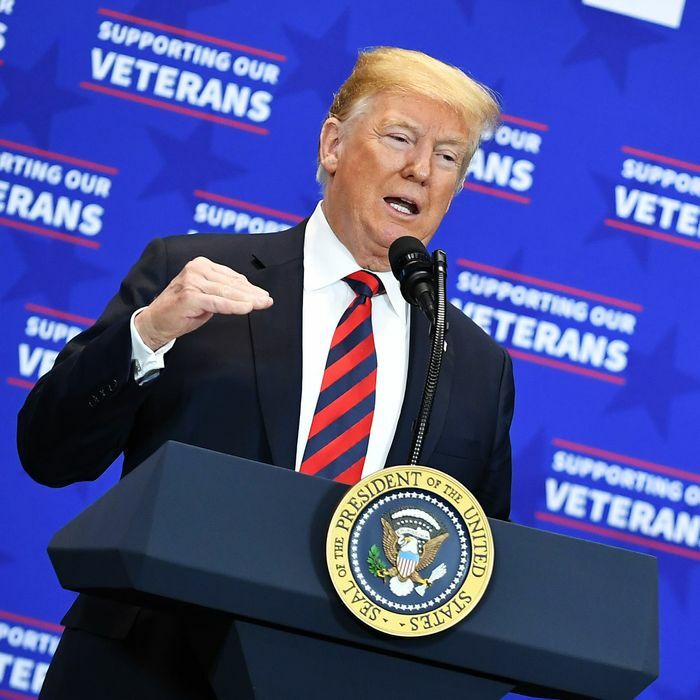 The Trump administration may not intend to privatize the VA fully, but its expansion of private options like the Choice program complicates the VA’s ability to fulfill its mission to veterans. ProPublica and PolitiFact have provided new evidence that Choice might not work as intended, but there are other warning signs. A recent study by researchers at Dartmouth College found that VA hospitals outperform private facilities in 121 regional markets. As reported by the Military Times, the study “rated more than half of the VA hospitals reviewed as the best local option for death rates among patients with surgery complications and treatment of bloodstream infections after surgery.” From these results, researchers recommended the reconsideration of private care options, or at least the expansion thereof. The VA responded with a press release that mostly praised its own facilities, but pivoted, at the end, to a defense of private community care. “While VA supports most of the study’s findings, the agency does not agree with the authors’ stance on community care, which ignores the fact that for decades it has served as a vital tool for ensuring VA has the ability to provide Veterans the best, most timely health care possible, and that it enjoys strong bipartisan support, as evidenced by passage of the MISSION Act,” it asserted. Choice had bipartisan support, and so did the MISSION Act. But while the VA’s medical facilities are hardly flawless, it’s increasingly difficult for anyone to argue that expanding private options will get veterans the health care they need. Private care, it turns out, might not be the gold standard after all.